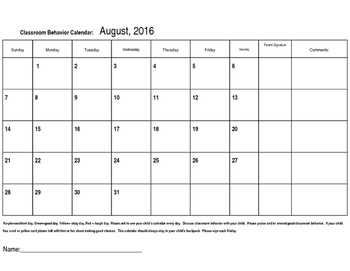 These monthly behavior calendars are a great way to keep parents informed about their child's behavior at school. 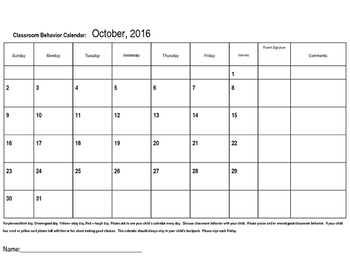 Each day children color their chart/calendar to indicate their color for the day. Now that I no longer use a clip chart, the communications calendars are invaluable. My kindergarten teacher friends and I have been using these calendars for years. 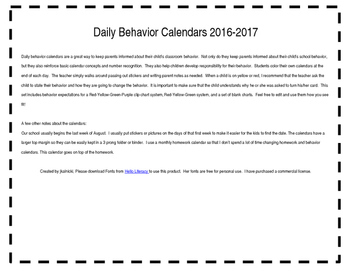 They are the most effective behavior recording form I've ever tried because they keep track of a month's worth of behaviors. 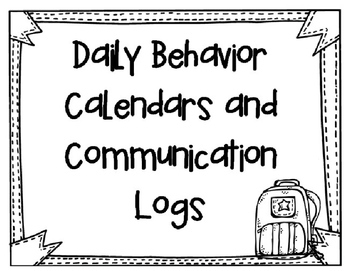 In addition to keeping track of student behaviors, students learn calendar skills and number recognition. HelloChaChing, HelloAli, HelloRecess, and HelloDoodlePrint.